Traditionally, the realm of the sensual has been associated with women. Statues of curved female bodies, shaped to resemble soft skin and supple breasts, litter all of antiquity. The male form is mostly likened with the stoic warrior; hardened and emotionless. We never grant men any claim to the throne of love and tenderness, declaring it feminine in nature. And in our imaginations, it is Venus de Milo, not David, we conjure when we wish to drench ourselves in desire. Director Luca Guadagnino's Call Me by Your Name is a tour de force, poured into a glass, and thrown in the face of these stereotypes. 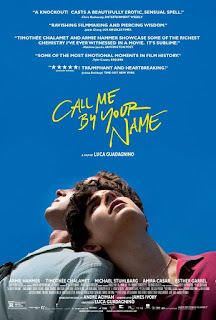 An adaptation of André Aciman's novel, it is the story of aspiring musician Elio in the summer of his seventeenth year. 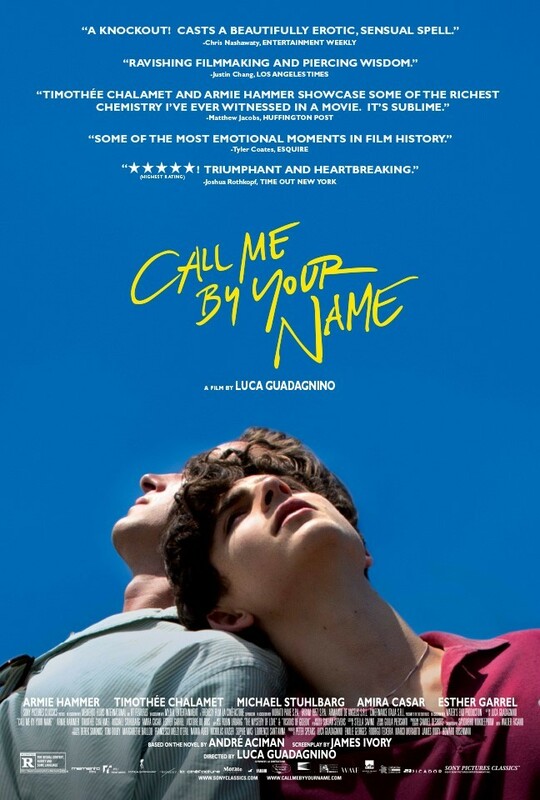 While vacationing in the northern Italy of 1983, Elio develops a friendship with his father's new research assistant Oliver that soon turns romantic. It is through this friendship-turned-romance that Guadagnino reveals the tender and precious creatures living inside masculinity. The on-screen chemistry between Timothée Chalamet (Elio) and Armie Hammer (Oliver) is magnetic. As a member of the audience witnessing their relationship flourish, it is hard not to be captivated and enamored with them both. I found myself thinking of this passage while watching Call Me by Your Name. It contains in it the same essence of Elio’s story. In the analysis of Brideshead, it has been argued these types of romantic male friendships are forerunners to finding the real and mature love later in life. I emphatically disagree with this concept. I think both of these relationships are the pinnacle for these characters, to which all other relationship pale in comparison.